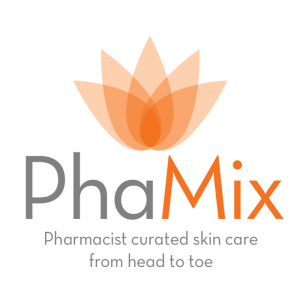 Anthelios has been one of our most popular sunscreen brands here at PhaMix. Our customers often discover this line through their dermatologists, and after putting them to the test, they’ve discovered what we’ve known for years: that Anthelios provides exceptional protection. It’s no wonder that this is a popular sunscreen brand. But what makes it so special? We could tell you that we love Anthelios because of the wide selection or the easy-to-wear formulations, and while both are true, neither would matter if Anthelios didn’t provide effective sun protection against UVA and UVB radiation. Thanks to patented Mexoryl technology, Anthelios does just that. Mexoryl SX (Terephthalylidene Dicamphor Sulfonic Acid) and Mexoryl XL (Drometrizole Trisiloxane), combined together, provide broad spectrum protection against the UV rays that can cause both burning and aging. And when you add in other effective sun filtering agents such as titanium dioxide, avobenzone, octocrylene or Tinosorb S, for example, Anthelios delivers excellent broad spectrum UV protection. Along with being effective, Anthelios formulations are also highly photostable, meaning they don’t degrade when exposed to sunlight, thus ensuring that they retain their protective properties. In fact, studies have shown that Anthelios maintains the majority of its sun filtering capability even 24 hours after initial application. Apply 15-30 Minutes Prior to Sun Exposure: Sun filters like Mexoryl work by absorbing UV rays and releasing them as harmless heat. For maximum efficacy, they need some time to interact with the skin’s surface. However, even if you’ve missed the 15-30 minute window, make no mistake: sunscreens are still going to work to protect you the moment you’ve slapped them on. Reapply at Least Every 2 Hours: UV exposure eventually breaks down the stability and effectiveness of sun filters, leaving you exposed to harmful sun rays. And while once-a-day sunscreens would be a dream come true, the truth is that you still need to reapply at least every 2 hours, or immediately if you’ve showered, perspired heavily or have just toweled off after swimming. Use More than You Think You Should: Most adults need at least one ounce of sunscreen (a full shot glass) to adequately cover all exposed areas of the body and ½ teaspoon for just the face in order to achieve the Sun Protection Factor (SPF) listed on a bottle of sunscreen. Chances are, the majority of people are using much less. One trick we like to use to ensure that we’re using the recommended amount is to apply sunscreen in two phases: apply once, wait a few minutes and then apply a slightly thinner layer on top. And don’t forget all those commonly missed spots like your lips, your ears and the tops of your feet (if you’re wearing uncovered shoes)! 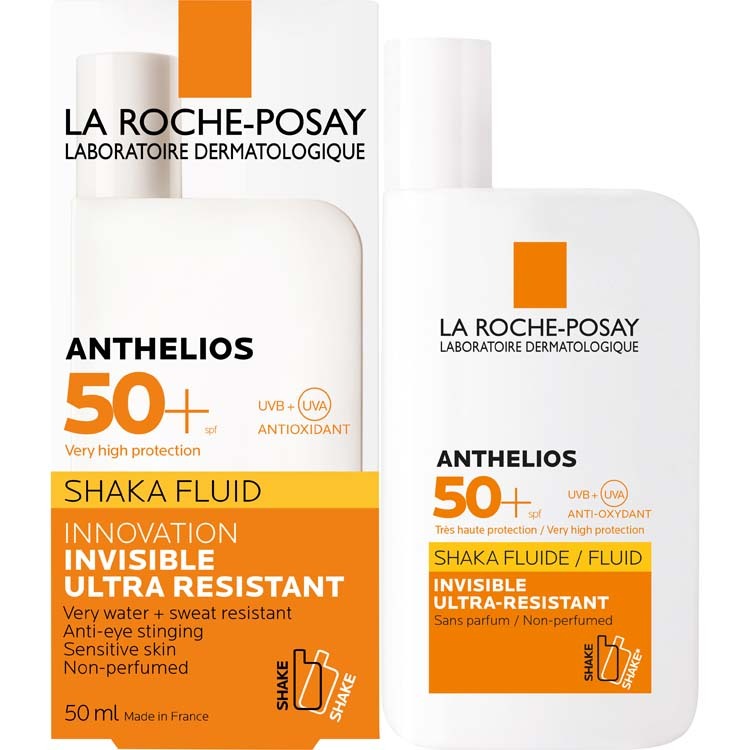 Anthelios SPF 50+ Shaka Fluide: The newest of the Anthelios family, this high-protection facial sunscreen replaces Anthelios XL SPF 50+ Ultralight Fluide. Free from fragrance and parabens, this non-sticky, non-greasy product is perfect for every day wear, even under makeup. It’s proving to be a popular sunscreen as warm weather approaches. Anthelios SPF 50+ Ultra Cream: Featuring a minimalist formula with no compromise on protection, Anthelios Ultra Cream contains 12 fewer ingredients compared to the previous formula. With the addition of antioxidant Baicalin, Ultra Cream offers very high broad spectrum facial protection to sensitive and sun intolerant skin as well as from certain Infrared-A rays and pollution damage. Anthelios SPF 50+ Dermo Pediatrics Lait/Lotion: Proving you can never have enough of a good thing, this lotion is now available in carry-on friendly 100ml(3.4 oz) tubes as well as value-sized 250ml (8.45 oz) tubes. Specially designed for children’s sensitive skin and tested under dermatological control, Anthelios SPF 50+ Dermo Pediatrics is nonetheless perfect for the whole family. Anthelios SPF 50+ Dermo Pediatrics Spray Lotion: Can something this light be called a heavy-weight? You bet! We love the velvety-dry finish and lightweight feel of this spray lotion that contains Mexoryl XL, Mexoryl SX, Tinosorb S and Uvinul T, an additional UVB filter. Again, made for children’s skin but the combination of wearability and protection has made this one a go-to for the whole family for years. Need help deciding? Give us a call. 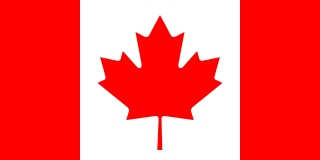 We’re always happy to talk sunscreen!